to get debugging working with XDebug. I've gotten to the part titled Integrating XDebug with PhpStorm. I get to step three, but there is not XDebug listed in the Debugger drop-down list. but there is not XDebug listed in the Debugger drop-down list. Most likely you are on the wrong screen as that drop-down box has always had 2 entries (they are hardcoded). 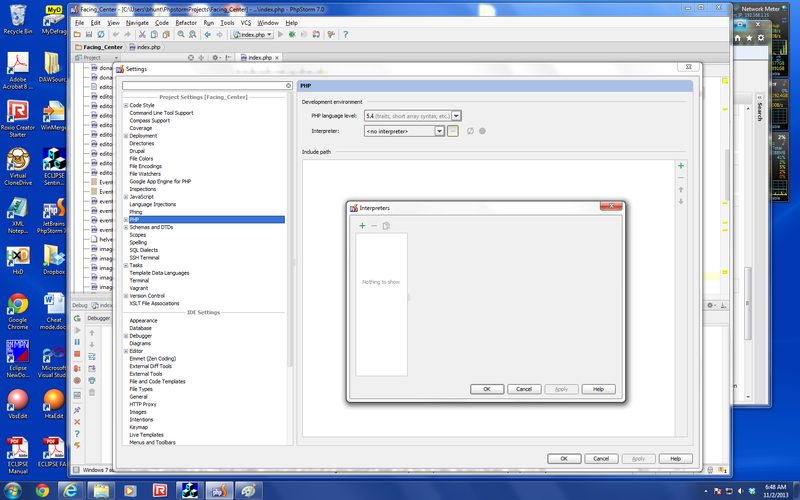 Here's the screen shot showing the dialog and the parent dialog and main program in the background. You need to click on green "plus" button to add an interpreter -- the debugger engine will be detected automatically.